Rothay Manor Hotel & Fine Dining01539 433605work01539 433607fax HotelRothay Manor Hotel & Fine Dining offers a relaxed, warm and friendly atmosphere in a luxury country house setting, with large individually designed en-suite bedrooms, spacious comfortable lounges, delicious fresh food and outstanding service. Rothay Manor has 19 individually appointed bedrooms, which range from a Single Room, through to Family suites, and a Garden Suite with outdoor Jacuzzi. Two bedrooms have been adapted for use by disabled guests earning the hotel a Level 2 Mobility grading from the National Accessible Scheme. Residents have free use of a nearby leisure centre. 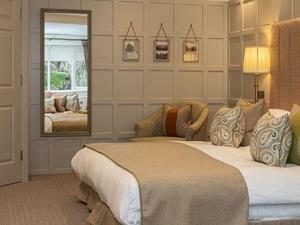 Rothay Manor has 4 dog friendly guest rooms. Free Wi-Fi is available throughout the hotel. 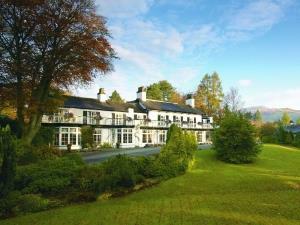 Rothay Manor Hotel & Fine dining is set in its own grounds, just 10 minutes walk from Lake Windermere. The new terrace provides the ideal place for afternoon tea or pre-dinner drinks & canapes. 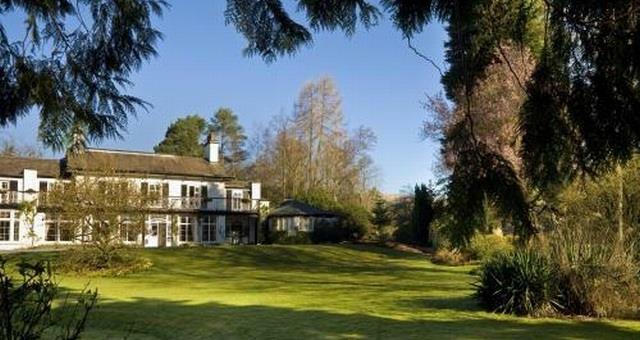 Rothay Manor Hotel & Fine Dining sometimes limits bookings to 3 or more days. Good-sized room most with bath and shower, comfortable seating area, hospitality tray, hairdryer, SKY TV, free Wi-Fi, telephone. Classic Room sometimes limits bookings to 3 or more days. Superior room. Comfortable, spacious room on the first floor with balcony overlooking the garden, separate bath & shower, comfortable seating, hospitality tray, hairdryer, SKY TV, free Wi-Fi, telephone. 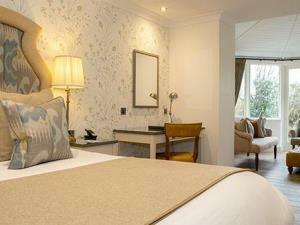 Superior room sometimes limits bookings to 3 or more days. Staff obviously well trained and appropriately attentive. Rothay Manor Hotel & Fine Dining offers a relaxed, warm and friendly atmosphere in a luxury country house setting, with large individually designed en-suite bedrooms, spacious comfortable lounges, delicious fresh food and outstanding service. Guests have free use of the leisure facilities at the Waterfall Spa Sky TV available in all bedrooms. Children welcome from any age. From south, leave M6 jct 36 follow the A591 through to Ambleside. Take the left turn at traffic lights and left again in 0.25 miles, first left signposted to Coniston. Car park is 20 yds on right. From north, leave M6 jct 40 follow A66 towards Keswick and then the A591 to Ambleside. Follow signs for Coniston through Ambleside one-way system and we are on the other side of the village opposite the rugby field. There is a portable ramp for the main entrance.